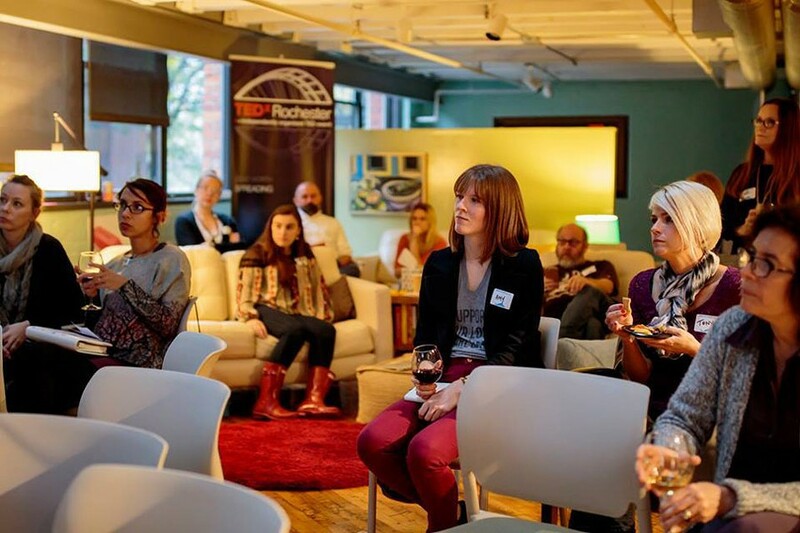 TEDxRochester, an independently organized local TED talk event, is this week presenting "Showing Up," a screening of a selection of the most inspiring talks from TEDWomen 2018. The annual screening is celebration of women challenging and rising up in a diverse array of fields including business, technology, art, and politics, presented by pioneers, professionals, and their allies. Guests will have the opportunity to converse with fellow attendees and participate in themed experiences. The event will include a tasting from Rochester's urban winery Living Roots Wine, Hypebooth photography, mini-workshops, and a cash bar. "Showing Up" will take place on Thursday, December 6, from 3 p.m. to 7 p.m., at the Rochester Museum and Science Center, 657 East Avenue. Tickets are $35 and are available online at eventbrite.com.